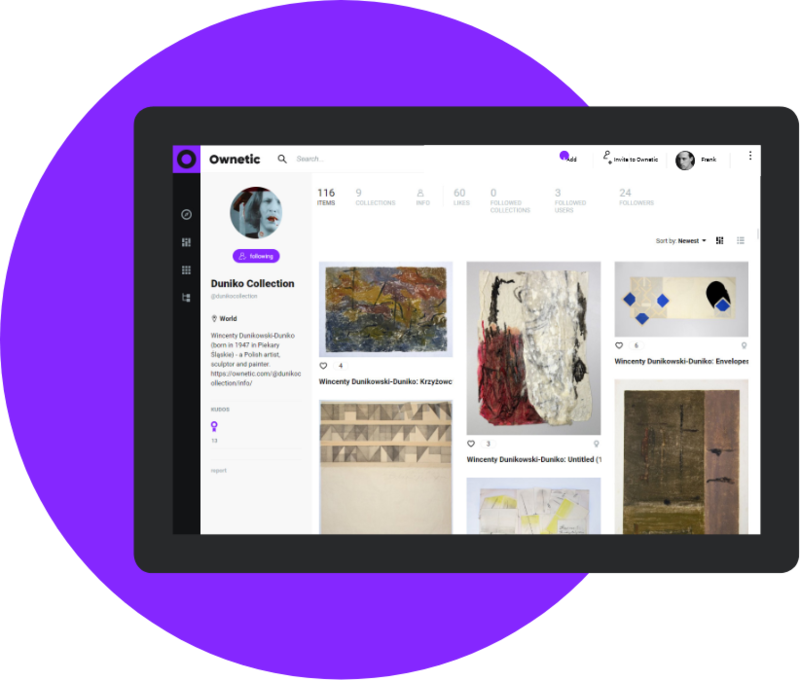 Ownetic empowers artists to present artworks, build a professional portfolio and manage their art archive. Build a professional artist portfolio with biography, manifest and mission. Create a gallery-like site of your artworks that is easily managed and maintained. Include information about exhibitions, awards, and more. 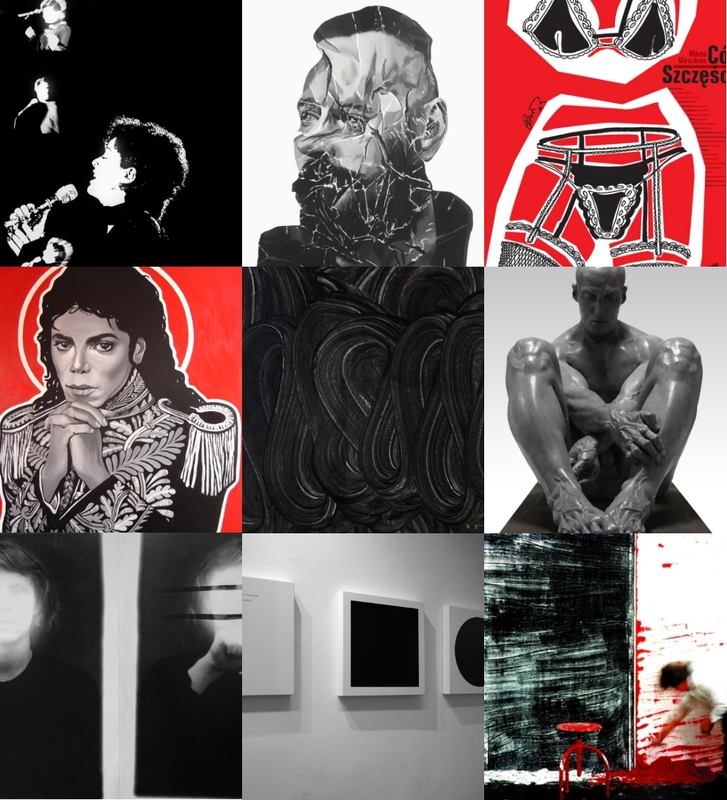 Get a customized link to your art portfolio and works that you can share across the web. Organize your works by cataloging them into dedicated collections. Document your artworks. Add multiple images to one object, write broad description and fill in parameters to thoroughly document your works. Choose if your collections are public (visible for all users) or private (only for you). Use drafts and private notes to easily work on your art archive. 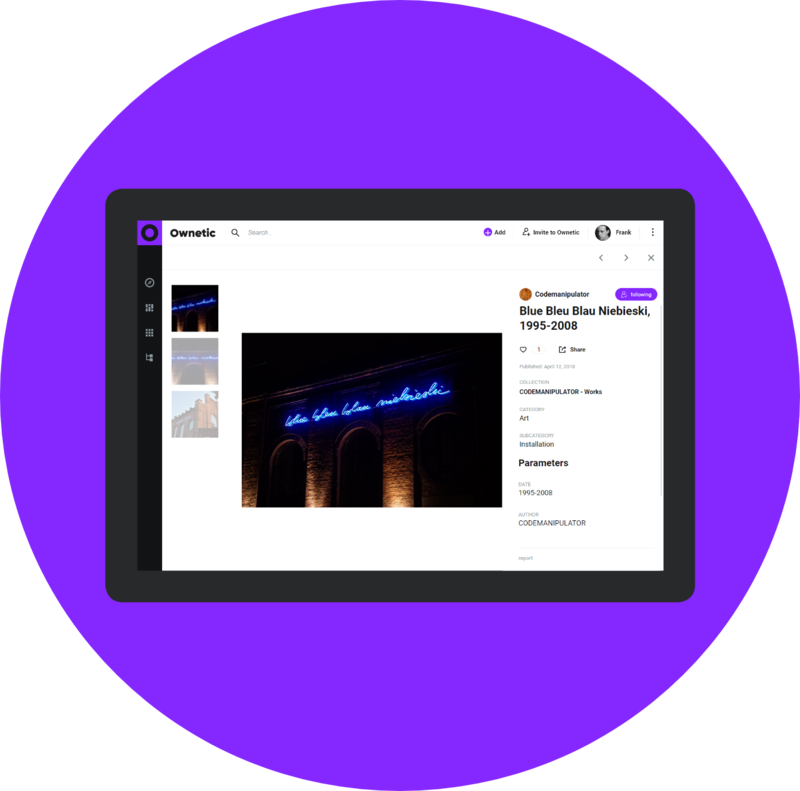 Have access to your profile and artworks across all devices. Make your artworks easily accessible to the world. Make people intrigued in what you do and invite them to experience your works. 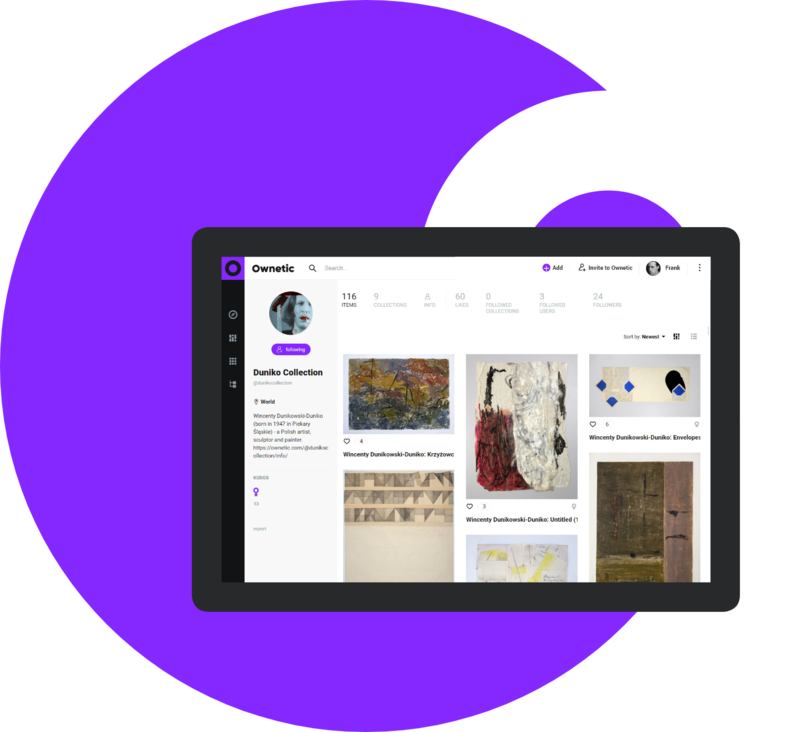 Reach thousands of people interested in the art, culture and collecting. Be in the unique space built to appreciate creativity and artistry. Develop a brand as an artist and gain recognition. 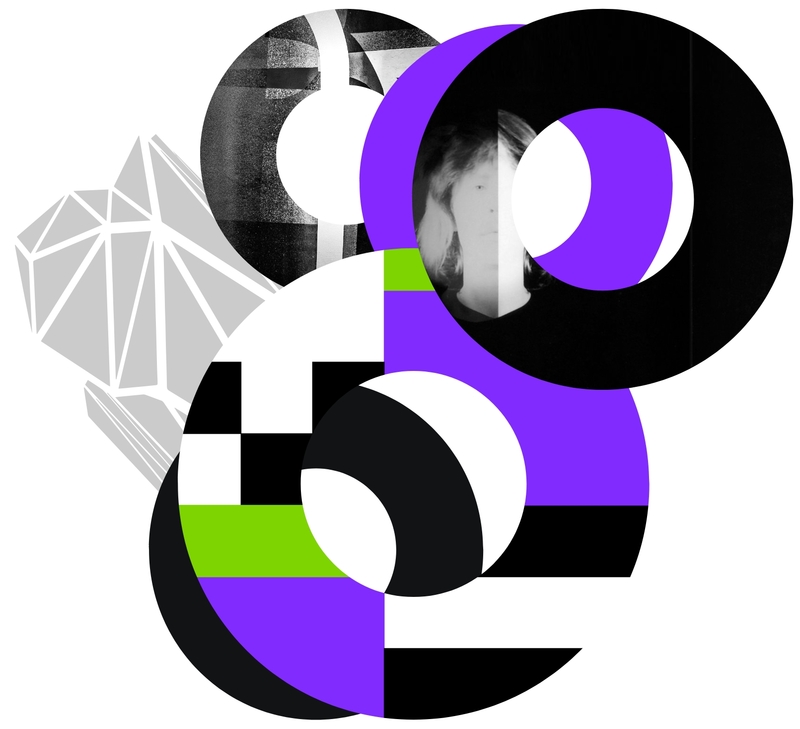 Ownetic brings together artists, art curators, collectors, art lovers and art world influencers. Join the art community.